WHAT IF GOD HAD NOT ALLOWED THE PUTTING AWAY OF FOREIGN WIVES? After having allowed a prolonged and arduous captivity for the children of Israel, God fulfilled the prophecy made through Jeremiah to move Cyrus, King of Persia, to allow their return to the Holy Land. Ezra, Nehemiah and thousands of others returned to the Land of Israel bent on rebuilding the nation and the Temple of God in particular. While in the process of rebuilding, the leaders of the people went to Ezra with a very serious concern: “The people of Israel and the priests and the Levites have not separated themselves from the peoples of the lands with respect to the abominations of the Canaanites, the Hittites, the Perizzites, the Jebusites, the Ammonites, the Moabites, the Egyptians, and the Amorites. For they have taken of their daughters as wives for themselves and their sons, so that the holy seed is intermingled with the peoples of those lands. Indeed, the hands of the leaders and rulers have been foremost in their trespass” (Ezra 9: 1-2). The transgression was serious, and it needed immediate addressing. Consequently, the males of Israel were asked to attend a meeting in Jerusalem within three days so as to deal with the problem. They met in Jerusalem, they discussed the problem, and the verdict was direct and drastic: all pagan wives and their children had to be put away. This verdict involved hundreds of Israelites, including several leaders. The decision must have been heartrending for the men, women and children involved -- but it had to be done. 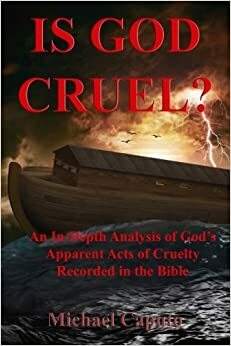 What if God had not allowed this most seemingly cruel event from taking place? What if He had intervened and had not allowed the families to break up. Would that not have been more appropriate and merciful? To understand God’s lack of intervention we must go back to God’s view on intermarriage found in the Book of Deuteronomy. In chapter seven, God firmly asserts that upon the conquest of Canaan the Israelites were to totally destroy the people of the land, and they were to abstain from intermarrying with them. “Nor shall you make marriages with them. You shall not give your daughter, nor take their daughter for your son” (Deut. 7: 3). The reason? “For they will turn your sons away from following me, to serve other gods; so the anger of the Lord will be aroused against you and destroy you suddenly” (7: 3-4). History tells us that Israel refused to do as they were told, they left many Canaanites alive and, finally, some Israelites intermarried. The result was not just the forming of marital relationship with foreign wives but, also, the embracing of their gods and their ways. Over time, this brought about moral deterioration, the worship of foreign gods, and a distancing from God’s ways and from God Himself. Ultimately, God’s wrath was kindled and captivity ensued. Israel was being given another chance. To start anew God demanded total repentance from the old ways. God demanded, in particular, that the people free themselves from the root cause of their former problems: allowing themselves to become polluted by accepting foreign wives and by embracing their ways. Refusing to cleanse themselves from this root cause meant leaving the cancer in the body and, thus, moving again toward attracting God’s wrath and another inevitable captivity. Undeniably, the move was drastic and painful, but was it was not as cruel as we may perceive it. What did putting away their foreign wives and children really mean for the men of Israel? Were they sent back to their peoples? If so, were they sent back empty handed? Would God allow them to be sent away and become destitute when He is so consistently for providing for the fatherless and the widows throughout the Bible? We can safely assume that if the foreign wives had converted to the God of Israel and had rejected their own gods, they would have been left undisturbed. If they had accepted God’s laws they would not have been a stumbling block. On the other hand, if they had refused to abandon their gods, they would have had to be dealt with by being sent back to their own people. In being sent back to their own family, the men of Israel would have provided for them, and would probably have continued providing for them in the future. The important point is that it was crucial that the cancer be totally eradicated so as to keep it from spreading. Huge numbers of Israelites had been killed in battle by the invading armies; others had died while traveling to their land of captivity. Large numbers had perished while attempting to settle in the new land. To prevent this great calamity from reoccurring, the price paid by the few for the benefit of the many was by far less painful. The putting away of wives and children by returning Israelites, therefore, may appear to be cruel and painful, but it was a necessary step to prevent a much greater calamity from befalling the nation of Israel. The returning leaders understood the ramifications of the matter and took the right step, and by so doing, God blessed their efforts and Israel again became a godly nation.